A Good World requires Good Humans. A peaceful World requires developed minds. Personal Development is indeed personal. No one can expand your mind except you. Nevertheless, Personal Development has Universal ramifications. Good Humans share the desirable interest of building an equitable, peaceful World. This is perhaps the most important interest we Humans can share. To state the bleeding obvious, we do not have a Harmonious world. 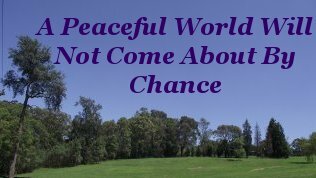 A Harmonious World will not come about by chance. It must be engineered. Engineered by developed minds in close affinity with Nature. Progress, of any description, is made by men and women who recognize the enormous Spiritual Intelligence available to the Human mind. Then assimilate this power and apply it to the Common Good. Thus rendering it Universal. This is the only way to effectively counter evil committed by undeveloped minds. Whether that evil is intentional or not. The viewpoint of this author is that Personal Development is synonymous with Universal Power. Once we assimilate this power in a competent manner, we become one with Nature and can contribute to this Common Good in our own way. Working alone, side by side, or across the vastness of the Universe. Proximity is irrelevant. In fact this author believes that the only way we can clean up the chaos we have created, and restore Order and Harmony, to both our Relationships and the Environment that supports us, is via Personal Development and Spiritual Intelligence. This will remain an uphill battle however, until we reach the tipping point where an adequate number of Good Humans educate themselves in mind expansion to the level of discovering and understanding the awesome power of the Ultimate Secret of the Human Mind. And then proceed to apply the Secret, in their own way, to the Common Good. This is why I place every emphasis on the importance of the Developed Individual throughout this site. I have set the scene for the unfolding of this website by documenting where we Humans have been, where we now are, and where we could be. 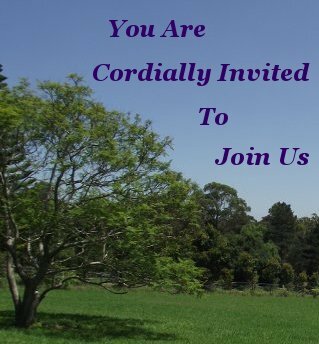 You are cordially invited to join us on this journey to determine Humanities Good future. How to get to where we could be will be our focus and we should know at the outset that it will take nothing less than a complete understanding of how we relate to Nature, and how Her magnificent gift, our Mind, functions. This understanding must be attained on an individual basis. We can help and support each other along the way by approaching subjects from many angles. Thus broadening the doorway to knowledge and increasing our chances of 'getting it'. But we must keep in mind that we can no more learn for another than we can eat another's meal for them. Emphasizing again the personal nature of mind expansion. Material wealth - and power - can be obtained by either honest effort or amoral means. Not so Personal Development. Mind Power comes by dint of honest effort. The only cheating that is possible is cheating oneself, by not applying honest effort and denying oneself the benefit of the Ultimate Secret. This is foremost a practical website. Written with an overarching, all encompassing goal in mind. That goal being Positive Results. Positive results are obtained by knowing what you want before you start. And understanding the Natural Laws that enable you to achieve your desire. Yeah, I know, this implies work. But you would not be reading this if you were afraid of work. See? This philosophy is kicking in already. Personal Development has the potential to save the World. In what ever manner you may believe it needs saving. You have much choice, but save it we must. Saving the world is a bottom up project. We are all in this together and all of us have an equal say. Building a competent self with a powerful mind is the essential start to building a peaceful World where we can attain our dreams with equanimity. To get the most out of this site it is best read with an open mind and the realization that every page is related to every other page. And at this stage to many pages yet to be written. Your questions and comments can contribute to the direction those future pages take. 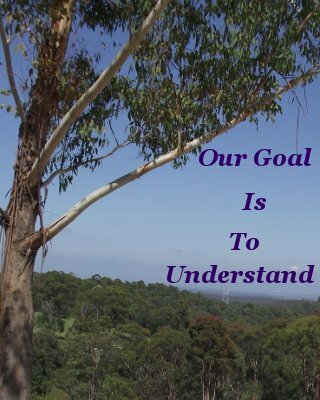 Our goal is to understand. You can help to complete a Blueprint to live a successful life for each and every one of us to implement. Together, we can create a peaceful World.